We Really Like-ah Mycah! Okay Actually We Love Her! Yeah, to just say we “really like-ah” Mycah wasn’t enough. We love her! We fell in love with this girl the minute she walked into our studio the first time. She’s just cool, and funny, and beautiful, and smart and – okay we could go on and on, but yeah – she fits in. Instant connection. The snowfall we had for this session was a little unexpected and yet it really did work out nicely. We had a great time and Mycah just slayed (that means she did an amazing job)! 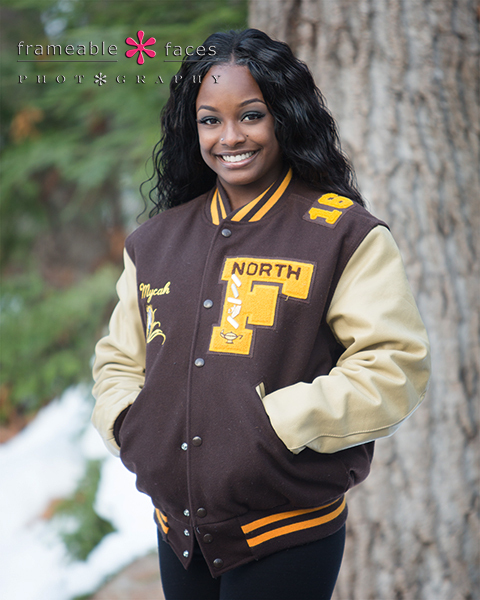 Next we have a little Raider Pride going on…..
We’ve been told Mycah is a heck of a track athlete…. Okay Actually We Love Her…..! 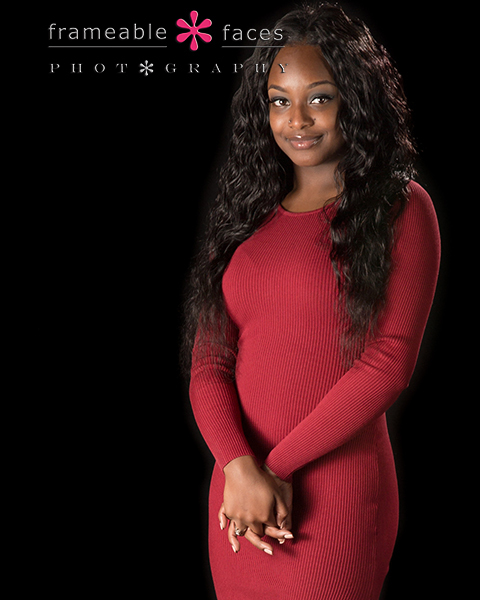 So let’s take a look at a couple of amazing studio photos against the black backdrop. Mycah looks fantastic in this red dress! 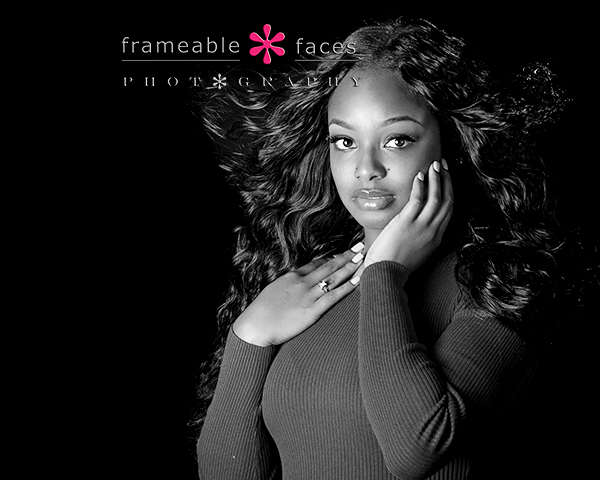 And last but not least we are really happy with the results of this black and white photo in our “black and blowy” set up! And that will do it for now! You can get a sense for why we love her! We hope you enjoyed these highlights from our day with Mycah… Actually, you’ll see here as a little bonus she came back to visit a couple nights later while we were broadcasting at the studio and we made a little vine out of it! Enjoy and we’ll see you soon! 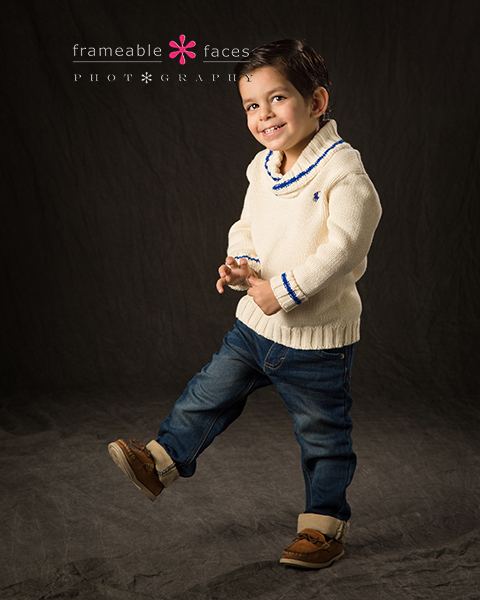 Little Man Anthony Was A Total Rockstar For His Session! 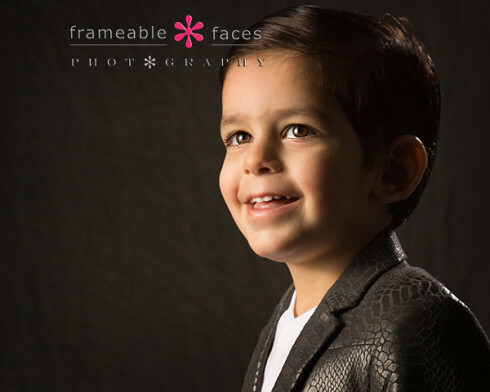 Little Man Anthony was here and he certainly left an impression – he was so easy to work with! Sometimes 2 years old can be a challenging age to photograph – in theory… I do have to say though that while some do better than others Ally is usually pretty darn good getting them to cooperate. She has the magic touch. Having said that, with Anthony the magic touch wasn’t even really needed. He was really good. He came to the studio with his mommy and his Uncles and they were a big help too. We should also mention what a sweetheart his mom Anita is and she is expecting so Anthony is going to be a big brother soon! So exciting! 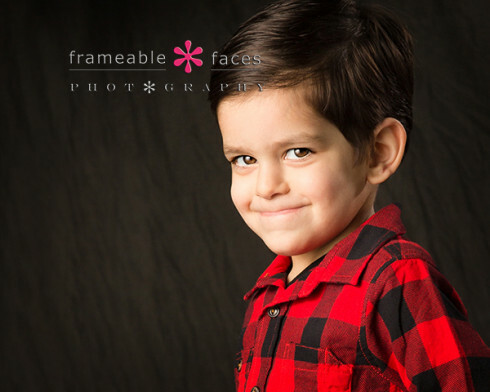 Next let’s go with some flannel – he looks like a little lumberjack! Looks like he’s planning something there doesn’t it? Like his wheels are turning… lol! Meanwhile we broadcasted part of the session on Periscope which was a blast! 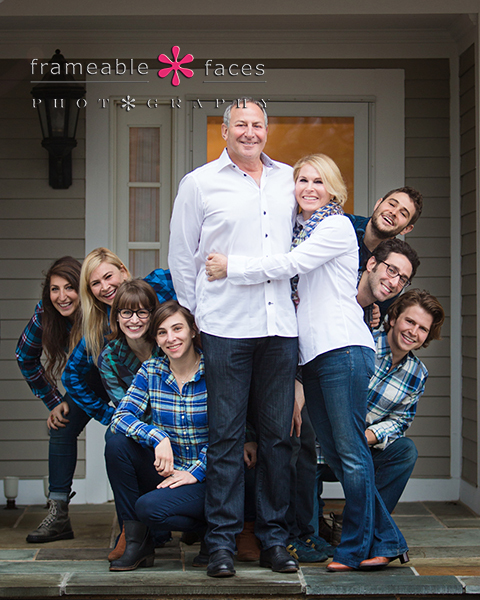 If you haven’t downloaded the app yet you can do so and follow us at @frameablefaces here. Here is the replay of the broadcast from our Katch.me page with the real time comments intact! Check it out! Okay let’s get back to a couple more photos. Love this next shot where you can see that Anthony was getting into it and having some fun! 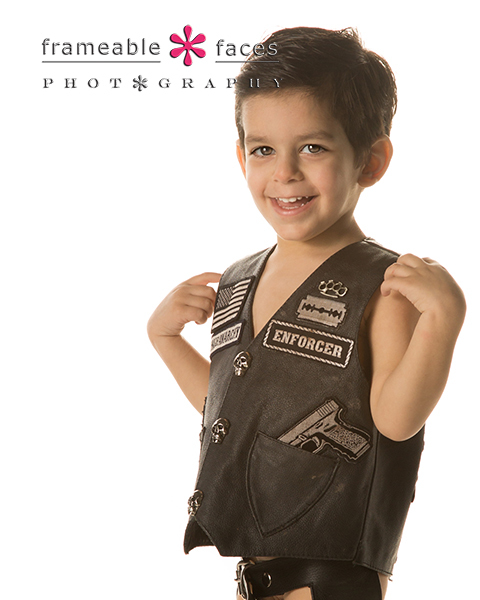 And now the coup de grace – the custom Sons Of Anarchy leather outfit made by his dad against the white backdrop! And there you have it! Little man Anthony was a rockstar indeed – wouldn’t you agree? We hope you enjoyed these highlights from our morning with him! 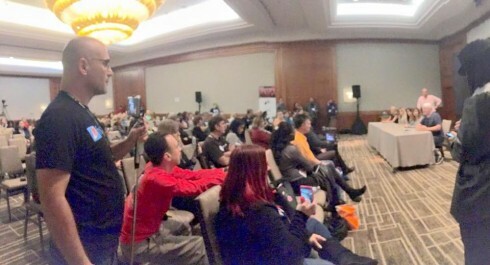 Summit Live as I discussed in part 1 the other day was a truly special and amazing experience, and so much so that there was no way I could tell the whole story in one blog post. So let’s continue on with the rest of the event shall we? We only got through the first day in the last post but we’ll try to wrap up the rest here. It’s a bummer we don’t have this one available because Ally did a pretty darn good job! @Skorstar (Caroline Lesley) and her husband @JonErlichman appear right at the beginning. We’ve known them on Periscope for a while now and they are fantastic. Caroline is the creator of the @PeriscopePuppet and it’s the most hilarious thing – her mouth does this weird thing when she talks as the puppet which you never see during puppet broadcasts… Jon has been doing tech trivia for a long time which is always a blast and the two of them along with Seth Cohen are the co-creators of the first Periscope network @ParachuteTV1 which we have been on before and as of this writing we will be returning on Tuesday 1/26/16 with a show called “The Photo Shop” which we are excited about! 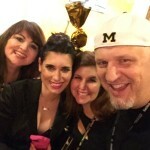 @mojojojonez appears around the 1:58 mark – Amanda is a sweetie and we just met her on Periscope not more than a month or two ago. 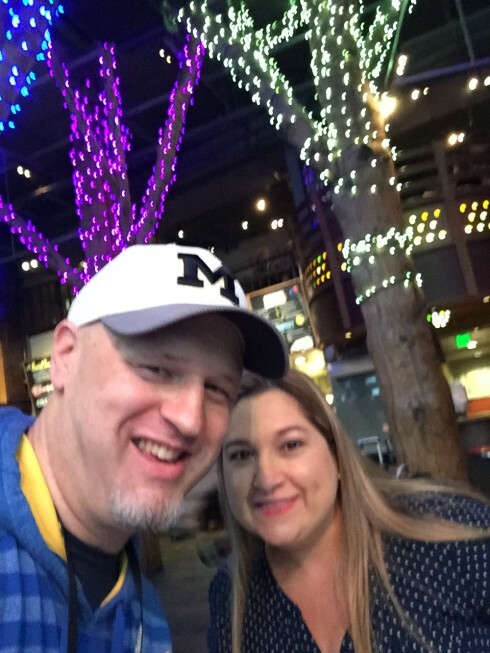 @eguerra019 shows up at the 4 minute mark – Ed, or “E”, is an entrepreneur from Mexico and he has told us he may be making a trip to our neck of the woods here in Detroit on business soon! At the 6 minute mark Ally reveals that she dropped her iPhone in the toilet and she shows off her 7-11 temporary special $12 phone… ugh. At the 7:30 mark we got “King Cake mobbed” in our scope – I guess a king cake is a cake from New Orleans – hadn’t heard of that but we totally respect the mob game just for the record. @WickFury makes an appearance at 8:30 – what a good guy and a talented guy too. The first scope we saw of his I think was an awesome stencil art scope he did several months back. Seems he was providing the security for the event! 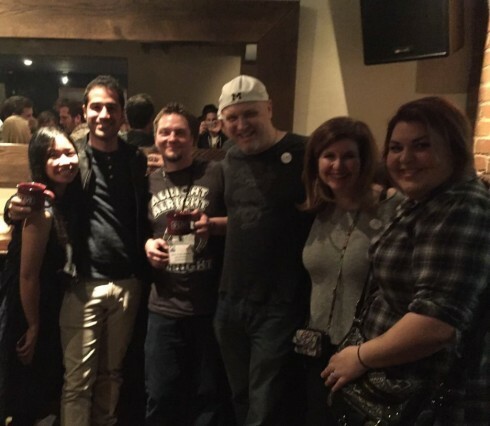 After the day’s events we headed over to a local bar called John Colins for a little get together with the team from Periscope where we met Kayvon Beykpour the co-founder and CEO – what a nice and humble guy. 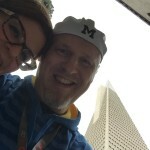 Here’s a photo of us along with Jason Cooper (Sock Cop himself next to me) and his wife Amanda. 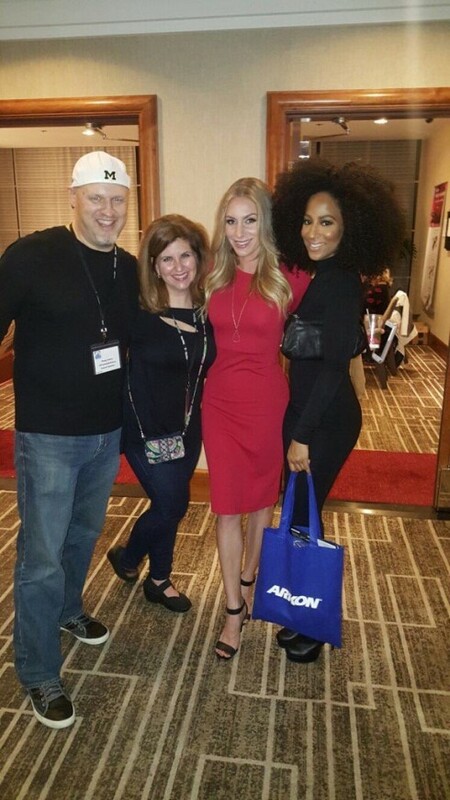 The girl to Kayvon’s right I think is another member of the Periscope team but alas I’m not 100% sure…. I’ll update this if someone can let me know! Later that night @TheRealJuanJohn had a table set up where he was doing drawings and he did a graffiti version of our “FF” Frameable Faces avatar which I scoped – check it out in this 5 minute replay. Pretty cool! We woke up to a happy text from @CathyHackl asking if we wanted to grab breakfast. The third day was the day of our small business panel which we were really excited about, and one of our good Peri-friends the stunningly beautiful @BeBonita Viviane Aires came up to our room to do Ally’s makeup for the day! So Cathy and I walked over to The Grove around the corner to grab a bite and I brought breakfast back to the room for Ally. 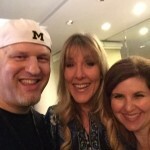 Doug and Cathy at The Grove! At this point we were ready to rock our panel! We were really pleased that we had a packed room and “Chocolate Johnny” Kapos was the moderator – he did a superb job and there was a lot of talent and knowledge at that table as we were joined by Victoria Taylor (@VictoriaTaylUK – her social media company is called Blend Social), Jana Francis (@Jana_Steals – she is the founder of steals.com), and Sam Martin (@Socially_Sam of sociallysam.com). Meanwhile this was a dream of ours since we first attended Imaging USA in Nashville exactly 6 years before Summit Live and we were barely a year into building Frameable Faces together as a team. We thought then that one day we would be the ones presenting to big groups about the things we’ve learned building a business. 6 years later and there we were! 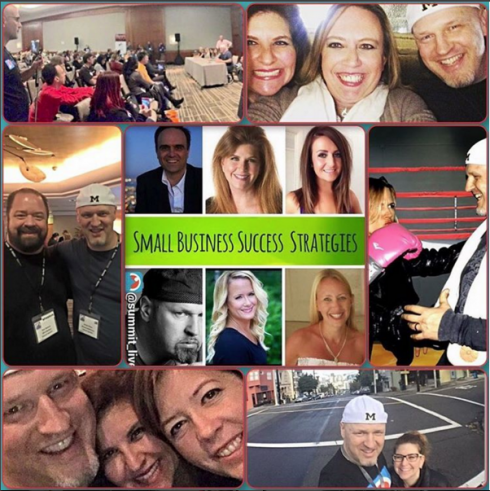 Note that @iSocialFanz Brian Fanzo makes his own appearance at the very end of the scope – one of the co-hosts of Summit Live and one of the more knowledgable guys in the community when it comes to all of the different live streaming platforms and social media in general. After the day’s events we joined a bunch of the scopers of @ParachuteTV1 at a cool place (with amazing lamb burgers) called The Press Club. 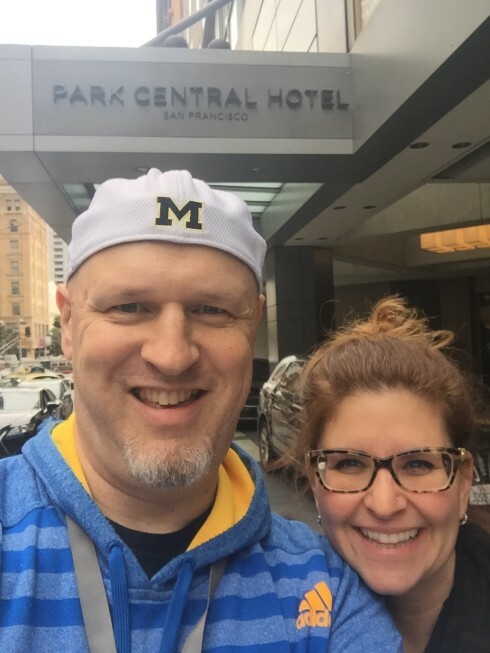 We didn’t really scope on the fourth day, but the following day we scoped from the back seat of our Lyft ride to breakfast on our way to the airport, happily exhausted and buzzing from an incredible Summit Live! 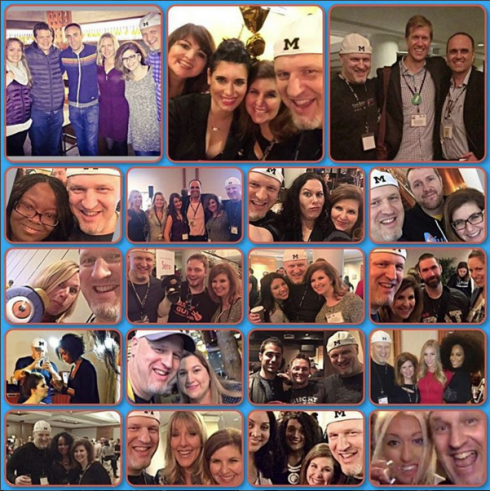 We hope to be able to attend future gatherings like this with our friends, and we continue to look forward to every day when we can hang out with everyone virtually through the magic of Periscope! Here are a couple Instagram collages I posted of a bunch of photos of us and our friends from the weekend, and this about sums it up. It was all about the people. The community. The extremely awesome community. 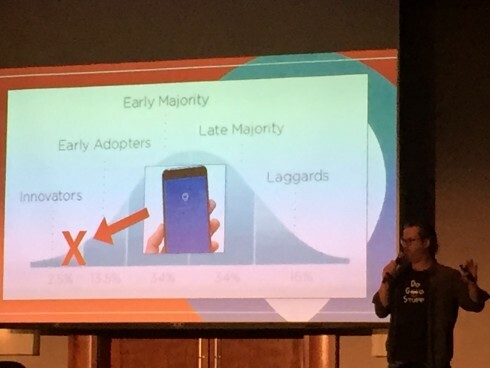 To quote @The_Sarah_Moore “we found our people at Summit Live ’16”. Until next time, Periscoping down. The Torch Is Passed To Jake – Another Cohen Raider! This is pretty cool. 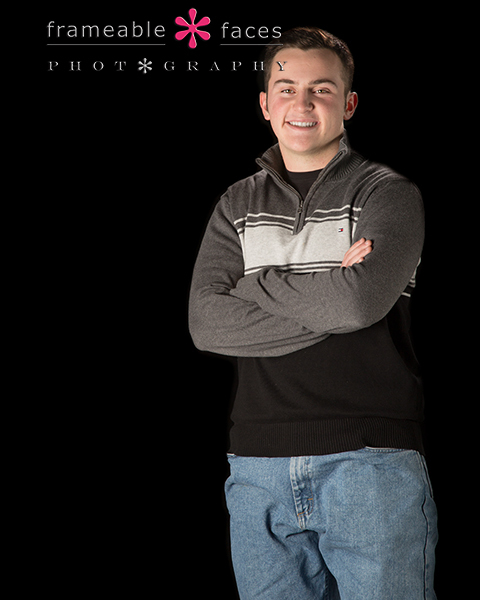 Me and my brothers are at the ages where we have kids all coming up through high school and moving on to college, and last year we photographed our nephew Jared for his senior portraits. 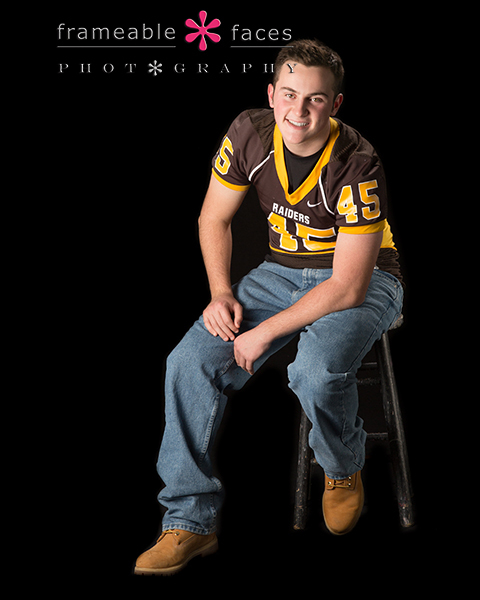 This year we have another nephew – Jake, and Jake is the only one to carry on our tradition of Cohen boys playing football for the North Farmington Raiders. Jake even wore his dad’s number 45 jersey which was a little surreal to see on Holland Field since I can remember watching my older brother Jeff wear that number on the same field when I was a kid. So here we go with another Cohen Raider! Next we have the replay of our Periscope broadcast with a minor disclaimer… for whatever reason my download of the actual broadcast from the app didn’t save, BUT we still have the raw video right here embedded in this post from our YouTube channel, OR you can watch the broadcast with the comments intact from our Katch.me page at this link. 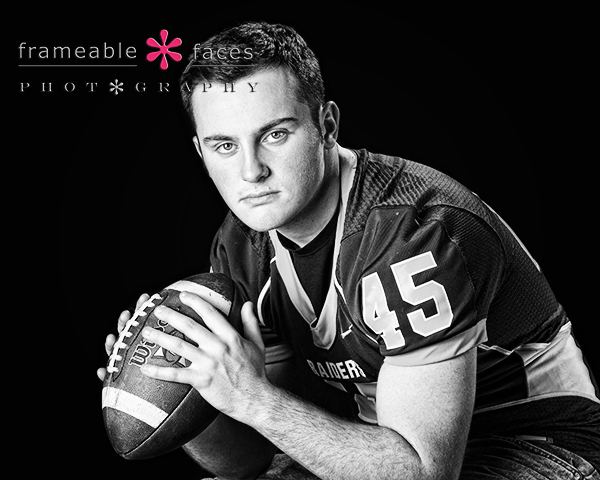 This next one came out really nicely in black and white… fierce! Cool huh? And there it is – another Cohen Raider gets it done. 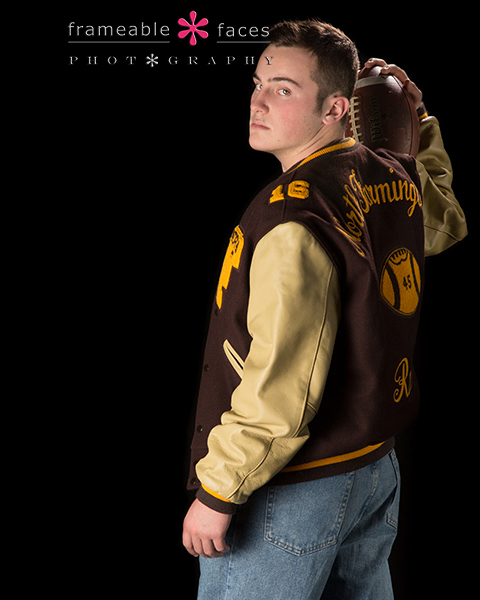 We hope you enjoyed the highlights of our photo session with Jake! 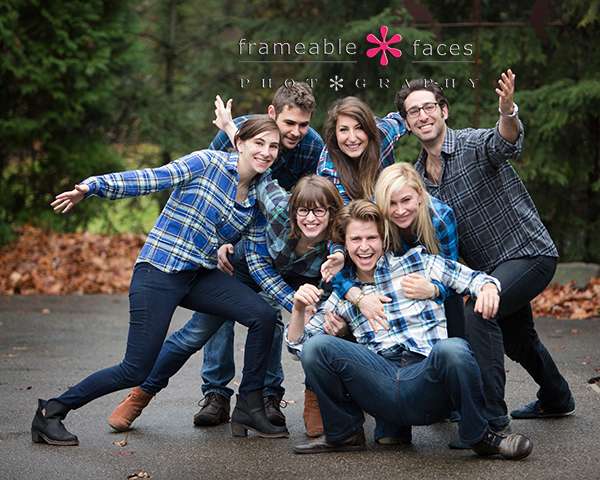 Family, Fun and a Little Flannel! What A Crew. Photo sessions with this crew over Thanksgiving have become sort of a ritual for us and it’s always a blast as you’ll see in these photos. Michael and Susie both have grown kids from before they got married to each other but you would never know they weren’t all blood related if you were to hang out with them. This year there was a new spouse in the mix and she also just fits right in. 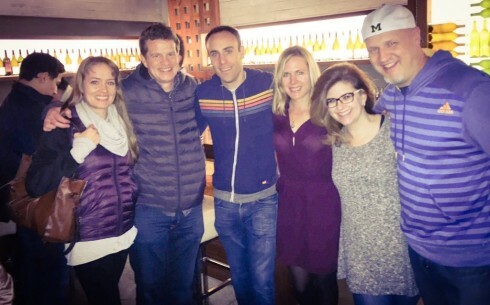 We won’t even tell you who goes with whom because the point with this crew is how awesome they are as a whole! They coordinated with a little flannel this year which is just great, while Michael and Susie stand out as the leaders of the pack in white. Every year it’s something a little different! 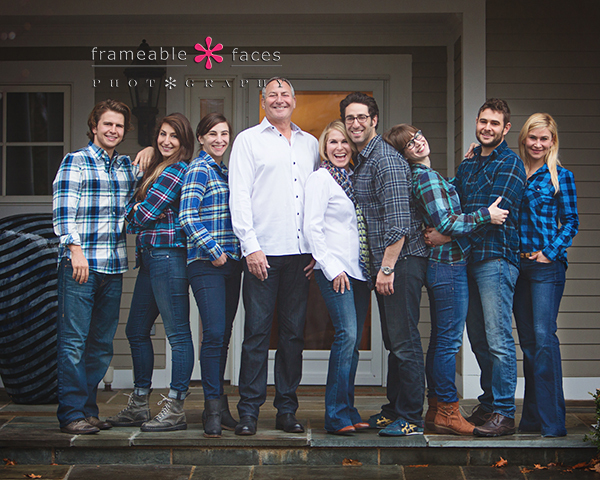 Let’s start first with the “kids” in front of the house in a simple pose – what a great looking group! Next we have the extended replay of our live Periscope broadcast from our YouTube channel which is a lot of fun. It’s about 15 minutes long and if you still don’t have Periscope you can download it and follow us at @frameablefaces at this link. Now we have Michael and Susie joining for the last two fantastic photos! Okay one more to wrap it up! 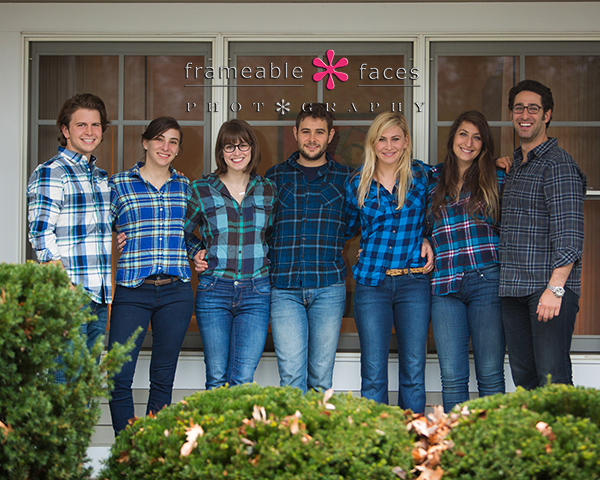 And so there it is – family, fun and a little flannel! What could be better? We hope you enjoyed the highlights from our morning with them!